Nowadays, we are in a society that likes to have everything at hand. If we wait too long in the queue, we become frustrated and if we have to wait in traffic, our day is lost. The same goes for our experiences on the Internet. 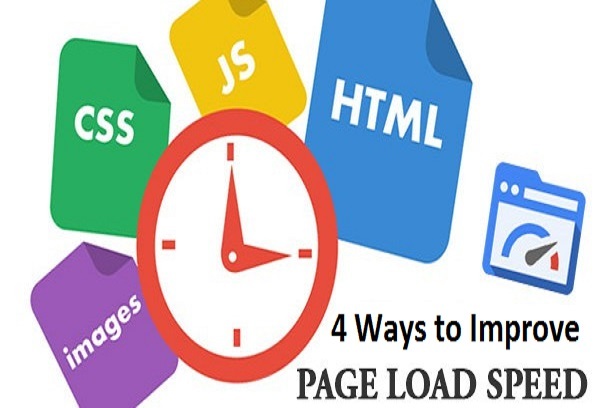 The loading time of the pages is an important factor to keep website visitors on your pages. If your pages take too long to load, it’s a safe bet that they will leave your website. In fact, page abandon rates typically exceed 25 % when your page load is less than four seconds, which is generous. A good target load speed is two seconds, although at Google they claim to aim for a load time of less than half a second. If one of your marketing goals for 2019 is to increase the loading speed of your pages, you are in the right place. On this page, we will talk about the best ways to quickly load your pages to reduce dropout rates and increase your revenue. You may be wondering why the speed of the website is so important for several reasons. This is not just, because users prefer a quick site, although this is one of the main reasons. Find out why fast loading time is critical to the success of your website and your business. Site visitors want NOW information! When someone visits Google, they enter their search query to find a multitude of link choices. When choosing one of these links, they probably choose one based on the title tag and the meta-description, as this corresponds to their search query and their intent. However, if they click on the link and the download of the website takes more than three to four seconds, about a quarter of the traffic relies on the Back button to return to the search results. Even if your link was the one they chose based on the relevance of the content, the speed of your page has spoiled their visit and you have no other potential customer. Page load speed is critical to the success of a site because, without it, 25% of your traffic is routed to one of your competitors with higher site speed. It is important that you provide visitors to your site with the information they are looking for quickly so that they stay on your page. The speed of the page is essential to the success of a site because without it 25% of the traffic of your page is destined to one of your competitors with a loading time faster. As the world’s most popular search engine, Google strives to deliver the best pages to people. This means that they want the websites they offer organically to have an excellent website design, contain a ton of interesting information that responds to researchers’ queries and offers an exceptional user experience. The page loading speed is part of the user experience because it ultimately affects the quality of the user ‘s visit. When your page loads slowly and increases your bounce rate, Google sees this as a bad signal. It warns Google that your website may not be the best choice for this search query because it’s infinite and people leave the site right and left. If you want your website to rank high in Google, you need to make sure your pages load quickly. Although Google claims that page speed is not the most important ranking factor, they nonetheless admitted that it was nevertheless a ranking factor. Many elements in your website could be the cause of slow loading time. Here are a few to correct in 2019 to make sure your website is fast as lightning for the New Year! The images are one of the most important elements of the site. They help bring the pages to life and allow you to display your products, your employees and more. However, if you do not make sure that they are compressed before uploading them to your website, you may encounter a lot of page loading speed problems. Huge, high-quality images look great, but they can slow down the loading speed of your pages. A simple solution is to use a kraken.io file type to compress your images. A tool like this will reduce the file size while maintaining the quality of the original file. Referrals are ideal when you need a page to go elsewhere. A redirect provides a fast and efficient option. However, this is not the best for the speed of your page. If you have tons of redirects all over your site, your website may get bogged down and your pages load slowly. Think of your website as a map. Whenever someone clicks on a link to a page on your site that is a redirect, the server should essentially redirect visitors to the correct location. Although it only takes a few seconds, it may seem endless and cause visitors to the site to leave your site. To reduce the page loading speed, delete as many redirects as possible. Your HTML code is the road map to read for servers. By reading it, the server is able to provide the pages of your website to the world. However, the world of HTML coding can be quite complex and complicated, and it is important to keep your code as clean as possible. Items such as extra spaces and commas in your code can really have a huge impact on the loading time of your page, in addition to additional code or coding comments. After browsing your code with a comb, you can speed up your website considerably. Each website is hosted on a server. This is where your website lives and is served to Internet users. When you start your business for the first time, you may not have a lot of traffic, which may lead you to choose a cheaper hosting option. There is nothing wrong with an inexpensive hosting option when very little traffic enters your website. However, when your business starts to grow, you will want to make sure that the server can support your growing traffic. The three different hosting options are pooling, virtual dedicated server (VPS) and dedicated server hosting. Shared hosting is extremely cheap, but it is not configured to handle large volumes of traffic. VPS hosting is similar to shared hosting, although you have your own server parts. Finally, a dedicated server means you have plenty of space, but you also need a lot of maintenance. Each option has its advantages, but for a website that generates a lot of traffic; you will want to avoid shared servers. Does your website need help with page loading speed? Maxtra Technologies is a digital marketing agency offering full-page speed optimization services to customers wishing to offer the best possible user experience to visitors to their website. ← How To Choose a Right Mobile Application Development Agency?